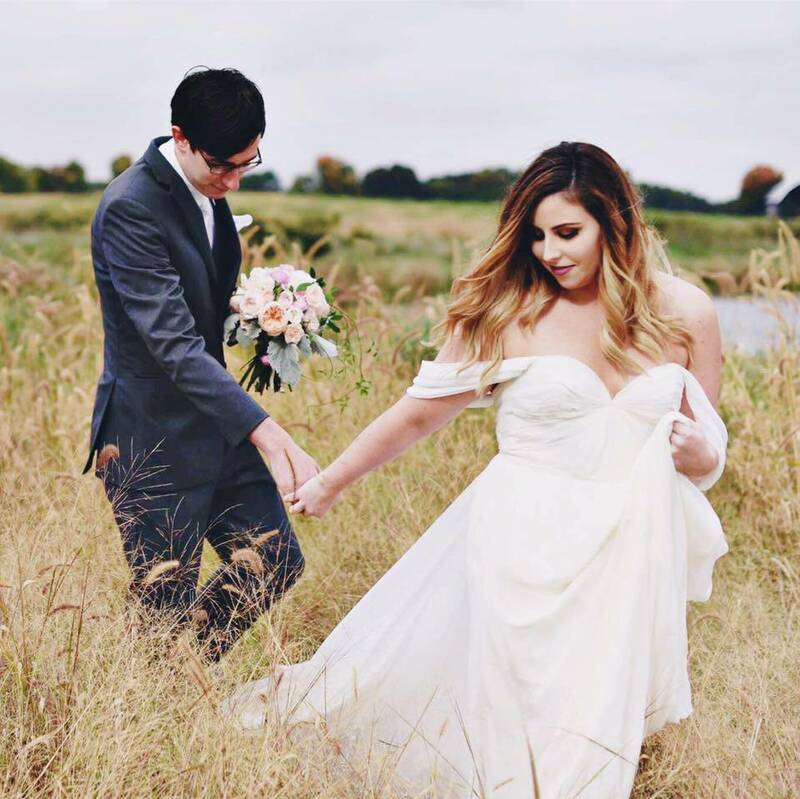 Curated by Carly: Wedding & New Years Resolution Update! Wedding & New Years Resolution Update! Hi guys! I know it's been a while since I've publishes a post but my life has been a whirlwind these last couple months. We moved, got engaged, I started a new job and on top of that we're planning a wedding. BUT I wanted to update you guys on some wedding details and how my #sweatingforthewedding New Years resolution is coming along. You know this if you already follow me on Twitter or Instagram but...I FOUND MY WEDDING DRESS! I had a wonderful weekend in Chicago trying on dresses at a three bridal salons with my mom, sister, mother-in-law, grandma, aunt and best friend from high school. Obviously, I want to keep my dress a surprise so I don't want to share any details. I will tell you it's from Sarah Seven, a dreamy designer out of Portland. The Sarah Seven showroom in the Lincoln Park neighborhood in Chicago. Just a few blocks from my apartment! Finding my dress means I've been in full #sweatingforthewedding mode and I've been extremely conscious about what I'm eating and how I'm exercising. Luckily, this Christmas was a fitness-gift year for me: my mom & dad got me a hot yoga membership and Meijer sent me a HUGE package of health goodies that helped me jumpstart my resolution (thank you, Meijer!). In between browsing bridal magazines and picking wedding songs, my favorite thing to fill up on has been protein shakes. Meijer generously sent me enough protein powder to last me until my wedding, so there are no excuses for me not to get fit! It's so easy - I just throw some water, two or three scoops of protein powder and a few frozen strawberries into my Magic Bullet and I have a delicious and filling shake in just a few seconds! So convenient for those days when I hit the snooze button a few extra times before work. If you live near a Meijer store, you have to check out their health and fitness products! I was so impressed with the wide variety of products they carry and actually ENJOYED them. There's nothing worse than trying to get in shape and not enjoying your diet. Have any diet or exercise tips for me? Have a favorite recipe? Comment on this post so I can see! I'm so happy for you! Can't wait to see more posts about the wedding. Also this smoothie sounds delish! Everything was spot-on perfect at our wedding. And this was due in large part to the manager and the amazing staff from Chicago wedding venues. Very professional staff, incredible food, spectacular view and when you felt like a guest at your wedding it cannot get any better.